Since working can be too strenuous from time to time, I decided to take a long walk from my office to Greenbelt on a fine lunch of May 24. I was initially eyeing for a Jamba juice, but when I passed by in front of Pablo store, I suddenly had a change of mind. Hence, instead of my usual Peanut Butter Mood, I went for a milk tea and mini cheese tart. Despite being near the entrance of Dela Rosa walkway, this Pablo of Greenbelt 5 seem to always just pass by the eyes of those who walk by. In a way, this could be a good thing (although definitely not in terms of sales), especially those who really want to take a break away from the crowd. This is why I am calling it as "solitude carved in a corner". Yeah, it's literally almost on the corner. You'll see when you get there (hopefully, so that I won't sound weird, hehe). Pablo is a love at first sight. 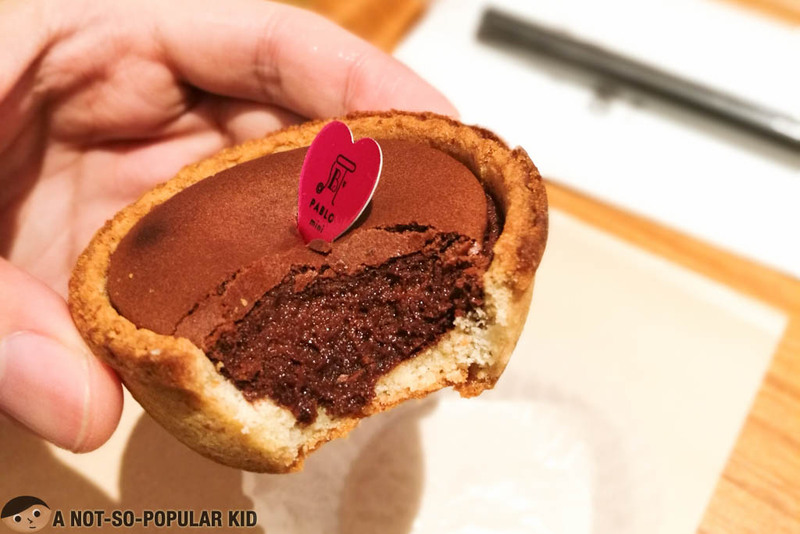 I can still clearly remember the moment I took my first bite back in 2016 -- right at its motherland, Japan. And no, it was not the entire huge pie that I first had. Rather, it was a mini cheese tart. Right then, I knew I tasted one of the finest cheese tart in the world. Fast forward to the present where Pablo seemed to start losing its appeal for us Filipinos. Well, I can't blame the crowd. The price skimming (high initial pricing) strategy seemed to have put off the market. Anyway, just as an FYI, Pablo Philippines already made the cheese tarts more affordable, so if you are truly a fan, let's support. Okay, so anyway, for this particular experience, I ordered a bundle of Milk Tea and a mini cheese tart (P205). Yeah, it was just the perfect combination I needed during that time -- milk tea to quench my thirst from the tremendous heat and mini cheese tart for my typical cravings. 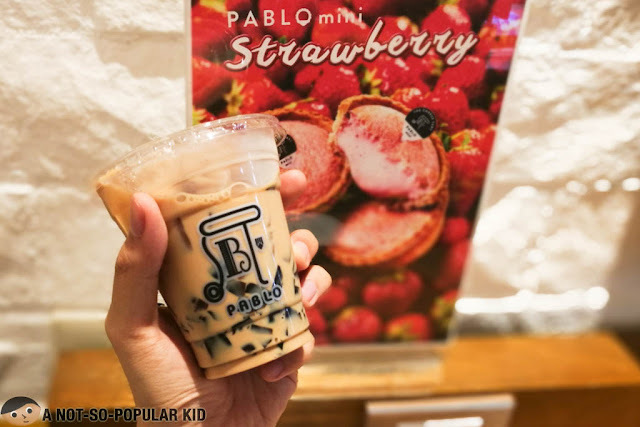 Pablo's Milk Tea was amazing as I tasted a fresher and more calming tea-base. It was just lightly sweetened unlike the traditional milk tea available right now. 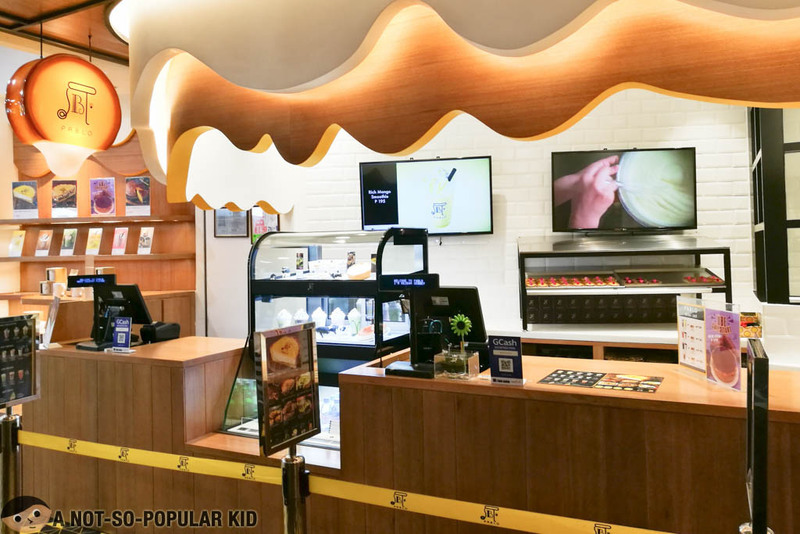 For those who a different milk tea experience, I am urging you to give it a try. Of course, the star of the show -- the cheese tart! My oh my, it was as excellent as I remembered it (though this was chocolate). I just loved how indulgent the tart was. Creamy, dreamy and tasty. No words can give justice. Now, I know it's pricier when you think about it. 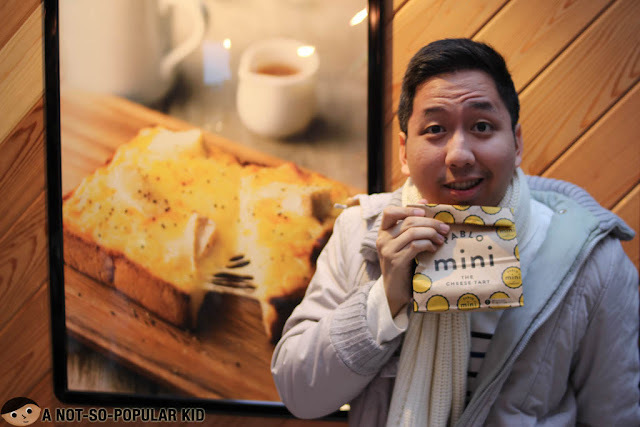 One piece of the mini cheese start ranges from P100 to P125. Trust me, it's almost the same case with Japan. On top of all, this one will really give a different cheese tart experience. In fact, I'll boldly say this "Pablo's mini cheese tarts are so much better than the bigger ones". If you dissent, I'd be glad to hear your thoughts. 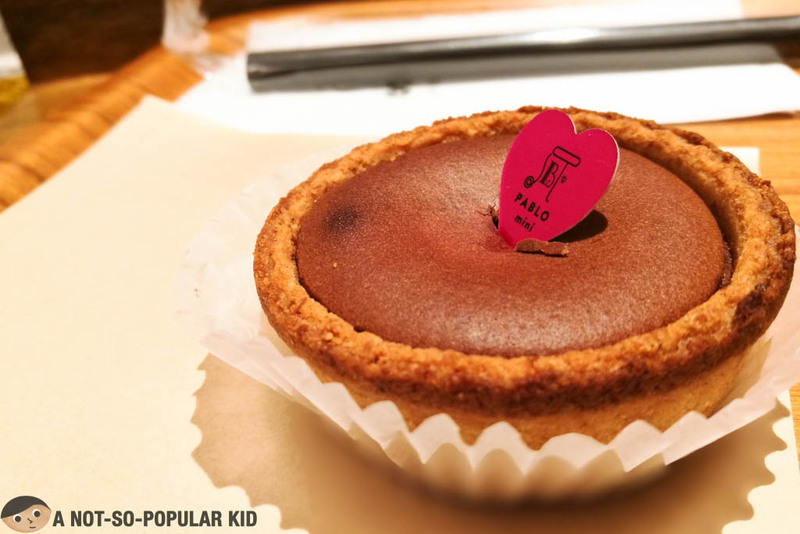 The rave on Pablo's amazing cheese tarts might have slowed (or arguably died) down over the last months, and chances are you still haven't tried the mini cheese tart. Only the bigger ones got sold, and many are not aware that the mini cheese tarts are the better tasting ones. Hence, you really must try it out!